I'm back again with my favorite piece, the mailbox. This is perhaps the most original out of all my builds. Unlike my other builds where I would set off with the express goal of making my version of a existing frame design on these forums, this little beauty is a result of me just messing around with my pieces. The only restriction that I gave myself was that it must incorporate the mailbox piece as a cockpit. 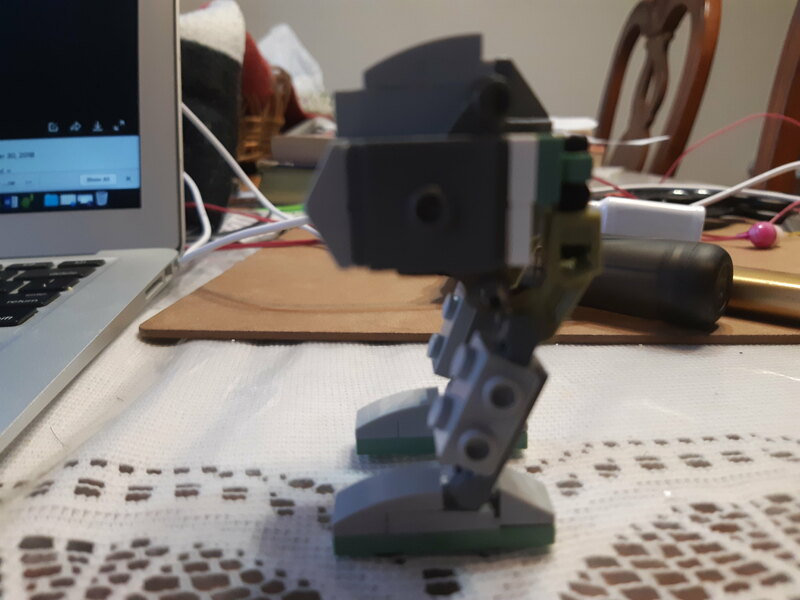 Originally i was trying to make a quad walker with a mailbox cockpit, however that did not work out, so I ended up making a chicken walker. I am quite proud of what I came up with. 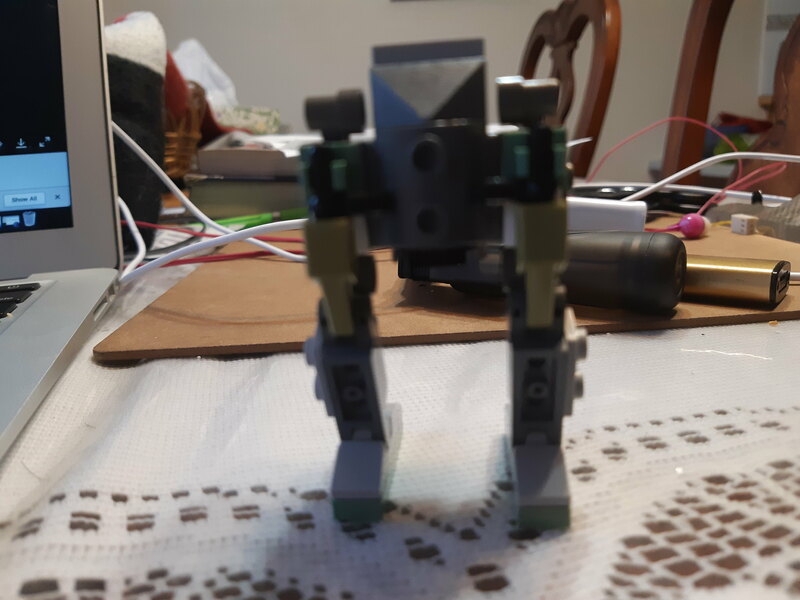 Sorry for the bad camera quality, for some reason the rear and side view just refuses to focus. 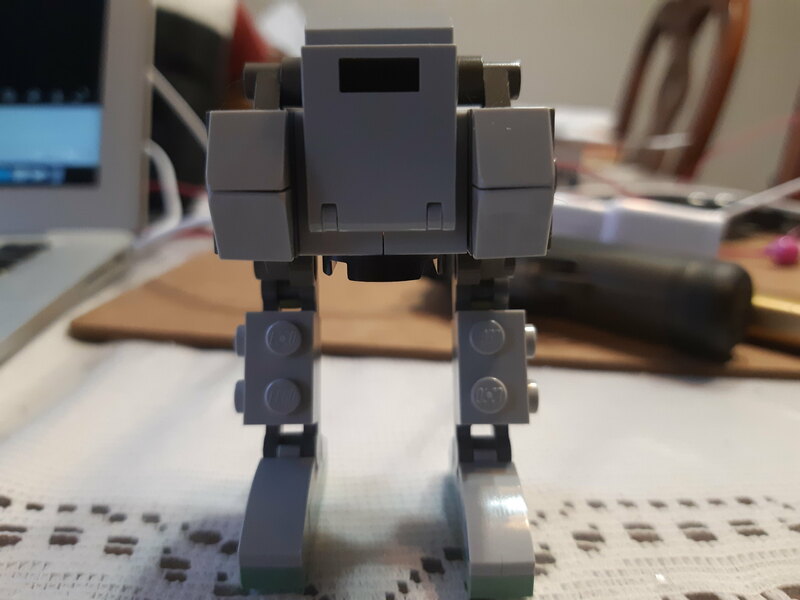 The mech has no systems so far, but it does have lots of hardpoints to mount them on. Interesting way of hiding the Ts on the back while retaining articulation! VitorFaria wrote: Interesting way of hiding the Ts on the back while retaining articulation! Thank you both for the kind words. I would like to say that it was all intentional but in reality it was just a result of me using what I had on hand at the time.